Now that you've selected a product and niche to further explore and evaluate, it's time to put it under the microscope. Without properly evaluating your product and niche idea, your choice is random and so will be your chances of success. Using the evaluation criteria below, you'll get a much better sense of your product and niche, along with better understanding it's strengths and identifying it's weaknesses. Resource: At the end of the chapter, we have provided an interactive Product Evaluator which will score your product idea against all the criteria included in this chapter. Note: You will likely never find a product or niche that fits all the criteria below. Evaluating your idea against this list though will give you a better understanding of your chosen product/niche, helping avoid pitfalls and increase your overall chances of success. Is it a trend, fad, flat or growing market? Is your product available locally? What's your potential selling price? Can you offer a subscription? What is your product's size and weight? How durable is your product? Does your product serve a passion, relieve a pain or solve a problem? How often will you need to turnover inventory? Is your product consumable or disposable? Are there any restrictions or regulations on your product? 1. What's the potential market size? Market size can be difficult to determine but with some educated guessing you can probably get a good idea of the potential market size. For example, a product that caters to pregnant females between 25-40 years old is probably has a sufficient market. But a product that caters to pregnant females between 25-40 years old who like punk rock music will likely be too narrow. 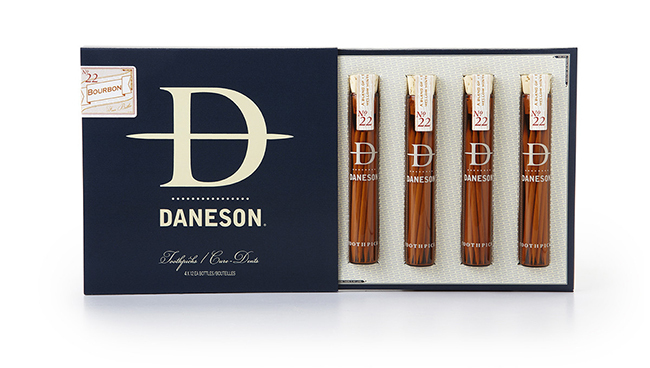 Example: Daneson sells high end, luxury toothpicks. You can imagine that it takes a pretty discerning and dapper man to purchase exquisite toothpicks. A product like this likely has a very narrow market size. This narrow market size limits the revenue potential for a business like that, however, depending on the exact market, the narrow market size can potentially make it easier to market to, allowing a company like Daneson the penetrate the market and capture the market more cost effectively. Resource: Determining exact market sizes is usually impossible for most businesses, however, there are some ways to understand market size in a more general way. Google Trends is a good start point, not to determine market size, rather to determine market demand trajectory. From there you can also look for your particular product idea being sold elsewhere and look at the number and quality of reviews. Are there no reviews, just a few or hundreds? Finally, tools like Topsy can help you determine volume of social chatter which can also give you indications as to the potential market size. In the next chapter, you'll learn exactly how to use the Google’s Keyword Tool to better determine search demand which can help you determine search volume of keywords around your product idea. This can give you an idea of how many people are searching for your keyword terms and in return, can also give you a better sense of the market size. Combine all these methods with some realistic judgment and you should start to get a good sense of the potential market size of your product idea. 2. What does the competitive landscape look like? What does the competitive landscape look like for your selected product and niche? Are you be first to market? Are there already a few competitors or is the market saturated with people selling the same product or targeting the same niche? If you're first to market, you'll want to do a lot of market research to determine that there is in fact a market interested in your product. If there are a few competitors already in the space and they seem to be doing relatively well, this could be a good sign that the market has been validated. If there are many competitors in the market, it's also a sign that the market has been validated, however, you'll likely have to determine how you can differentiate your brand and products from the sea of competitors in order to carve out your own spot. 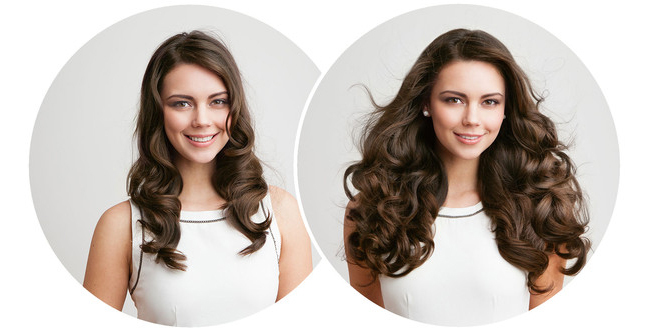 Example: Luxy Hair wasn’t the first company to sell hair extensions online. In fact, the market was filled, maybe even saturated with competitors when they began four years ago. Understanding the market was saturated with competitors, they knew they had to do something different to stand out and command the attention of buyers. Luxy did exactly that by entering the game with a completely different marketing strategy. While everyone else was paying for ads online, Luxy decided to provide value by focusing on YouTube as their exclusive marketing channel. The strategy worked. In a crowded marketplace, Luxy has managed to carve out their spot by very quickly building a seven-figure ecommerce business that also boasts over one million subscribers on YouTube. Resource: Google searches and SimilarWeb will help you uncover current market players. Google’s Keyword Tool can tell you approximate search volumes for your chosen keywords, and also tell you how competitive they are (meaning how many other people/businesses are bidding on those words). Don’t forget, the more people bidding on your keywords, the more expensive they will be. 3. Is it a fad, trend, stable or growing market? Riding a fad can be dangerous. A trend can be lucrative. Stable markets are safe and growing markets are ideal. Understanding where your product and niche lay can play a huge role in your success or failure. Fad: A fad is something that grows in popularity for a very short period of time and dies out just as quickly. A trend can lucrative if your entry into the market and exit are timed perfectly but this can be difficult to predict and usually a recipe for disaster. Example: A Geiger Counter is a personal electronic device about the size of a cell phone that measures the level of radiation around you. Shortly after the earthquake in Japan in 2011, geiger counters were flying off the shelves, however, as you can see from the Google Trends graph below, interest died as fast as it started. Trend: A trend is a longer term direction that the market for a product appears to be taking. It doesn't grow as quickly as a fad, it last longer and generally it doesn't decline nearly as quickly. A trend can sometimes also lead into a long-term growing market although this can be difficult to predict. Example: As an example, in the last few years gluten-free foods have been growing in popularity. We can see from the graph below a consistent climb, however, this would likely be predicted and labelled a trend as opposed to a growing market due to the ever-evolving and changing nutrition market. Stable Market: A stable market is one that generally is immune to shocks and bumps. It is neither declining nor growing but maintains itself over long periods of time. Example: A kitchen sink is a perfect example of a product with a market that has generally remained constant and flat for the last ten years. There's likely not going to be any huge spikes or dips in the interest and purchase behavior of kitchen sinks. Growing Market: A growing market is one that has seen consistent growth and shows signs of a long-term or permanent market shift. Example: Yoga has been around for a long time but over the last 5 years or so has become a mainstream health and fitness activity. The benefits of yoga are well established, making this niche a solid growing market. Resource: Google Trends will help give you the big picture whether something is a fad, trend, growing or stable market. If you see unexplainable spikes, try doing some further searching to see what the possible cause was of it. 4. Is your product available locally? A product that's readily available locally means that there's one less reason for consumers to seek your product out online. However, a unique or hard to find product that isn't available locally means there's an increased chance of someone looking for it online and increases their chances of actually purchasing it online. Example: Ellusionist sells artist collaborated, high-end decks of cards for magicians and card players alike. Sure you can go buy a deck of cards anywhere, but these are not just cards, they are also works of art and trick decks, and if you want one, it's only available online. Resource: One of the simplest ways to find out if your selected product is available locally is by doing a search on Google for your product + the name of your city, or if you don't live in a major city, try substituting for the name of your closest major city. For example, you could search for "magician deck of cards + new york". 5. Who's your target customer? You don't need to go into great detail defining your exact customer persona at this point, however you should be aware of the type of customer you would likely be selling to and their online purchasing capabilities. If you have a product geared for teens, it's important to keep in mind that most teens don't have a credit card to make purchases online with. Similarly, if your product is geared towards older baby boomers, you may find that your target demographic has a lower level of technology adoption and doesn't like to purchase online. Example: Clothes for Seniors offers adaptive clothing for seniors. One of their main target markets has a low level of online commerce adoption which may make it difficult to build a business around. 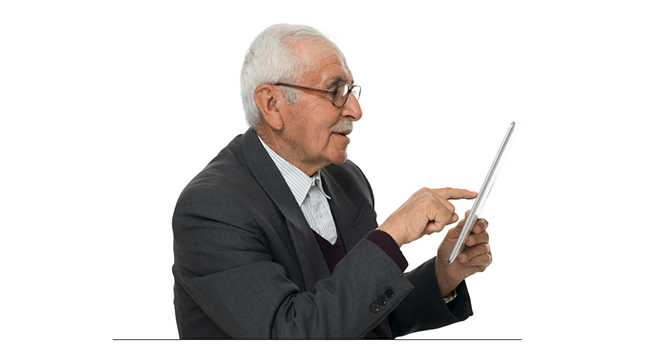 You'll need to tailer your online store to accommodate them or consider targeting your marketing efforts to the children of the seniors. Resource: If you find another online business selling similar products, you can use SimilarWeb to get information on their visitor demographics, which may help you define your target market better. It is vitally important to take markup for a specific product into consideration before diving too far into a product idea. When you begin selling online, you'll quickly find out that there are lots of small fees that will eat into your margins, so having a strong initial markup will provide you with the necessary cushion to absorb these little costs. Example: To understand margin a little better, let's take a look at a real product. For this example we will use a pet pedometer - a small electronic device you connect to your dogs collar to count how many steps they take. Looking around at other pet pedometers, we determined that an average retail price on a product like this would be $24.99. Using Alibaba, we found out that we are able to get these pet pedometers at a cost of $2 per unit. You can see from the example above how the small fees will whittle away at your margins. In this case, a product that had an initial markup of over 1,200% ends up less than 100% when all is said and done. Of course, these are just approximates and you can cut costs significantly by handling fulfillment yourself and spending less on advertising. Regardless, knowing this information upfront will be important to know. 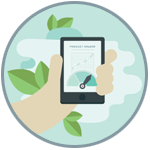 Use this tool to help you calculate your potential product margins in both $ and as a %. 7. What's your potential selling price? Selling an inexpensive product means that you'll need to move many units to make a decent profit. Additionally, along with moving a lot of units comes increased customer service inquiries as well as an increase in potential mixups. On the other hand, selling very expensive products means a longer sales cycle and more discerning customers. Generally, a product price point between $75-$150 is recommended as it minimizes the need to find a large number of customers to turn a decent profit and is still able to give you some cushion for marketing and operation costs. Example: Our previous example, the pet pedometer, had a relatively low selling price of $25. Because of this, variable costs ate away at much of the profit, leaving a profit per unit of only $12.95. Let's see what happens though if we switch out the pet pedometer for a new product and assume that this new product has a potential selling price of $100 (4x more than the pet pedometer). For consistency, we've also multiplied the other appropriate cost by a factor of 4x. Because of the higher selling price we have much better margins 73% vs. 42% for the Pet Pedometer, and our profit per unit skyrockets from $12.95 to $76.75. 8. Can you offer a subscription? It's much easier and less expensive to sell more to a current customer, than to find new customers. A subscription-based business allows you to sell to the same customers many times over, automatically. Example: A replenishment based ecommerce business like Dollar Shave Club is based on sending you things that are consumed and constantly in need. In this case, shaving razor blades. A subscription ecommerce model is especially important for a company like Dollar Shave Club because of the extremely low price of their products. Monthly blade subscriptions begin at $1 USD/month. If they didn't sell to that same customer on an ongoing basis their business model wouldn't work. 9. What's your products size & weight? Product size and weight can have a big impact on your sales and bottom line. These days, many customers expect free shipping and just rolling the shipping cost into your prices doesn't always work. This means these costs tend to eat into your margins. If you decide to pass these shipping costs onto your customer, you'll find that the shock of high shipping will likely hurt your conversion rate. Additionally, if you don't plan to use the dropshipping model, you'll need to consider the cost of shipping the products to yourself (or your warehouse) from your manufacturer, as well as storage fees. 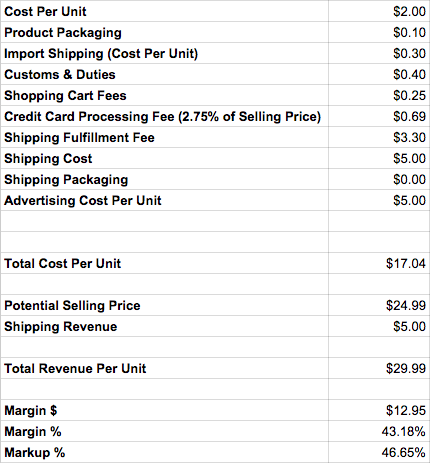 If you're ordering your inventory from overseas, you might be surprised at the costs involved. Example: There is a popular yoga mat company which sells oversized workout mats. The product itself is a reasonable $99, however, shipping to Canada is $40 and the rest of the world is $100. For many consumers, it would be hard for them to justify spending 40-100% more for shipping. 10. Is your product durable? How durable or fragile is your product? Fragile products can be an invitation for trouble. Products that can break easy will cost you more in packaging costs and you are bound to have more returns and exchanges. Example: Billy Murphy from Forever Jobless discussed in one blog post how a very delicate product he began selling was going to cost 4x the product itself to properly ship to customers. After a lot of trial and error, Billy was eventually able to determine how to ship his delicate product safely to customers while minimizing packaging costs but it goes to show you that fragile products can be difficult and something to consider before starting your business. 11. Is your product seasonal? Businesses with seasonal demand can suffer from inconsistent cash flow. Some seasonality is ok, however, an ideal product will have somewhat consistent cash flow year round. If you do choose a highly seasonal product, you may want to consider ahead of time how you can overcome seasonality, possibly by marketing to different countries in the off season. 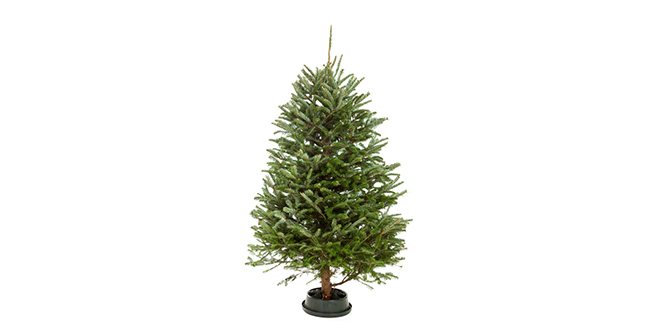 Example: Christmas items like the Omega Tree Stand have very strong seasonality swings which makes a business like this difficult to make money with consistently through the year. Resource: Look for seasonal trends by looking at Google Trends for your product and niche keywords. 12. Does your product serve a passion or relieve a pain or solve a problem? We discussed this point early on in this guide but it's always an advantage to sell products that serve a passion, relieve a pain, or solve a problem. As an additional benefit is that when you sell products that satisfy one of these requirements, your marketing costs tend to be lower since customers are actively seeking out a solution as opposed to you having to heavily market your product to find them. 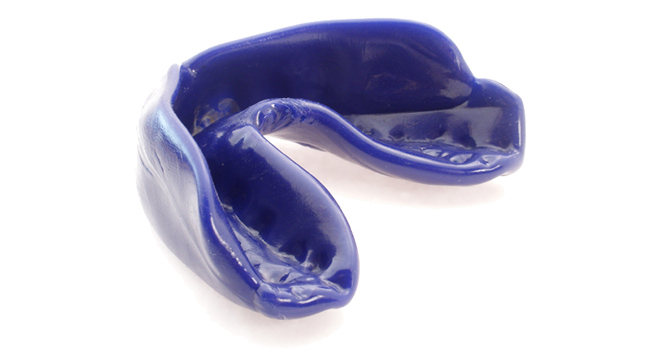 Example: Pro Teeth Guard sells custom mouth guards to prevent teeth grinding. People with this problem are more likely to seek out a solution and find their online store reducing the costs of advertising to draw consumers in. 13. What will your product turnover be? It can be risky to have products that constantly needs to be changed or refreshed. These types of products run the risk of not selling before the time of turnover. Before jumping in head first and selling a product with regular turnover, it's vital to know what your turnover schedule will look like and plan accordingly. Example: Smartphone and tablet cases are a hot market, however creating new designs usually requires a high initial investment for designing, prototyping, and minimum order quantities. One of the harder parts of building an online business in a niche like smartphone cases is gaining enough traction and exposure before the next model smartphone/tablet comes out. Not selling through your inventory fast enough could leave you with a stockpile of outdated cases. Having consumable or disposable products makes selling to the same customer over and over again more natural by essentially putting a time limit on the products life and giving the customer a reason to come back to you for replenishment. 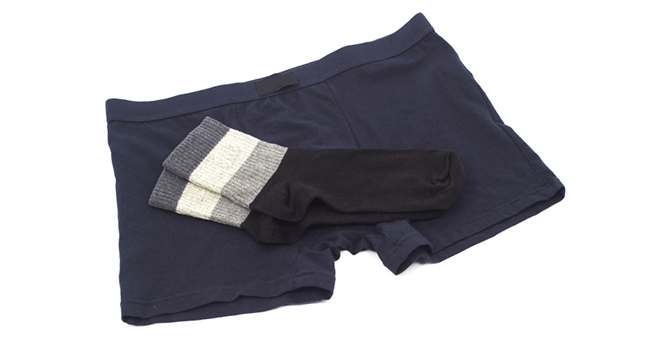 Example: Manpacks sells products that generally have a shorter lifespan like razors, condoms, socks and underwear. This model keeps consumers coming back to their site to repurchase. 15. Is perishability a factor? Perishable products are a risky proposition for any business, never mind an online business. 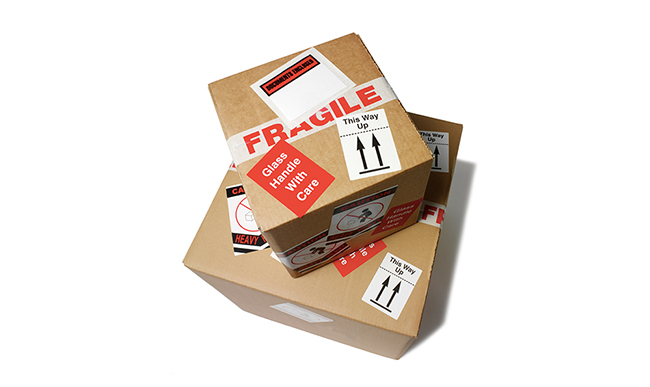 Since highly perishable products require speedy delivery, shipping can be costly. Even products with a longer perishability timeline can be risky as it complicates storage and inventory, potentially leaving you with spoiled product. For example, food products, supplements, medication, and anything else that needs to be kept cold or has a short expiration date all require special consideration when ordering inventory and shipping to customers. Example: The Yummy Tummy Soup Company makes homemade soups and desserts that they sell through their ecommerce website. Since their products are extremely perishable, they need to heavily consider shipping times and packaging to keep the products temperature controlled until it is delivered to the customer. 16. Are there any restrictions or regulations? Restriction and regulations on your product and niche choice are annoying at best and crippling at worst. Before you move forward with your product idea, you'll want to make sure that there are no regulations or restrictions on your product selection. At the very least you'll want to make sure they are manageable. Certain chemical products, food products, and cosmetics can carry restrictions not only by the country you are importing your goods into but also the countries you're shipping your products to. You'll want to consider making a few phone calls to customs and border services of the country you'll be importing your product into along with your warehouse if you plan on using one, and the food and drug administration if it's a food/supplement product. Example: Silky Polish, a non-toxic, cruelty-free nail polish ran into problems when they learned it was considered a hazardous material because of the flammable chemicals in it. These regulations prevented Silky from transporting and shipping their product by air which ultimately prevented overseas sales. 17. Is your product scalable? It's difficult to think about the future and growing your business when you're still in the launching phase, however scalability should be considered and built into the business model right from the start. If your product is hand-made or contains difficult to find materials, think about how to scale it if your business takes off. Will you be able to outsource manufacturing? Will your number of employees have to increase with the number of orders or will you be able to maintain a small team? Example: Horween leather is leather produced from the Horween Leather Company and is revered as some of the best leather in the world. Many craftsmen, artisans and customers alike swear by the product. The problem though is that because of the quality and popularity, it's extremely difficult to get it consistently. If you begin building your business and brand on using and advertising this particular leather, you may run into problems as you begin to scale and the leather comes harder to come by. The product and niche you choose is at the very core of your business and one of the most important decisions you'll have to make. Using the above criteria as a guideline can help you better understand the product you're considering and increase your overall chances of success. Below, you'll find an interactive calculator that will score your product idea based on your answer to each of the points above. In the upcoming chapters, you'll further evaluate your idea by evaluating the market as well as the competitive landscape. Score your product idea in under 5 minutes!